Create beautiful trivets, tiles, platters, bowls and even night lights! Nip, cut, and clip your way to your masterpeice. Then have it travel through a series of long soaks in our kiln until it is shaped and slumped into your beautiful work of art! Want to come in sooner? This is a 15 minute hands-on demonstration on how to use the tools, then you are clear to work on your own glass project! Not so creative? Sign up for one of our glass events where we teach you everthing you need to know to create beautiful glass projects. 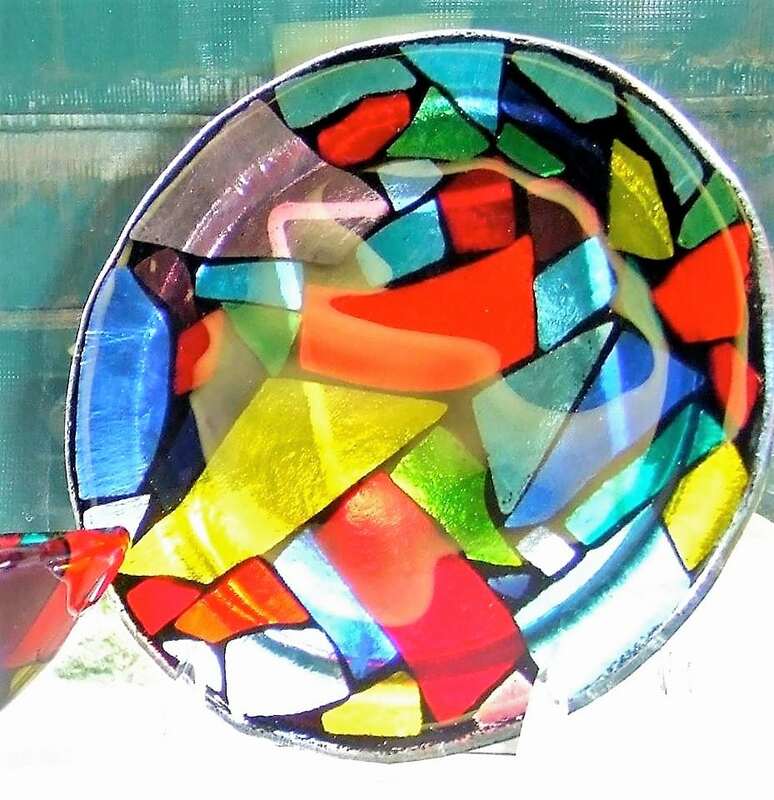 Do you charge a studio fee for glass fusing? No. For glass fusing we do not charge a studio fee. It’s just the cost of your project which includes firing. We do charge extra for slumping. How long does it take to fire my items? Unlike pottery, glass takes a bit longer. The usual turn-around time for glass fusing is around 2 weeks. I have no artistic skills. Can I still be successful? Absolutely! Glass fusing is easy for everyone to create, especially abstract patterns and shapes on glass. We also have may pre-cut shapes, pebbles and stringers to help your design come along. Is my finished peice safe so I can eat or drink with it? Yes! It’s real glass. You can use it with food or just display it as a decoration.